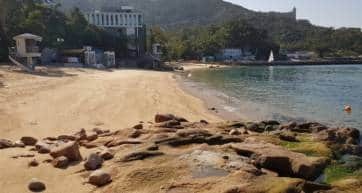 The seaside village of Stanley on Hong Kong’s south coast feels a million miles from the skyscrapers of Central, and visiting Stanley Market is a great excuse to escape the city grind. Yes, you can get the same sort of souvenirs at Ladies Market or Temple Street Night Market, but Stanley Market is much more laid back, with an easy-going vibe only found in Hong Kong’s small villages. Because Stanley does not have an MTR station—yet—it is only accessible by bus, but the ride is beautiful, along the coast and over the hills. A number of buses leave from Exchange Square in Central, and the ride takes about an hour. If you get motion sickness, an option is to take the MTR from Admiralty Station to Ocean Park Station, and then a quick taxi ride over to Stanley Market. The market is a few minutes’ walk from the bus terminal, but easy to find. The open-air stalls are open all day, and are known for being a good place to buy ‘plus-size’ clothing (difficult to find in Asia), as well as locally made art, and Chinese embroidery. There are the typical souvenirs such as chopsticks, tea sets, placemats, games, lanterns, jade charms with your zodiac animal, and the like. Of course, always barter for the prices and shop around. And be wary of the copy bags and copy watches, which tend to be of poor quality. The Stanley Market winds its way down the narrow streets towards the waterfront, and the Stanley Promenade, a lovely place to stroll around on a sunny day. There are many restaurants and pubs along the seafront to sit, relax and enjoy the view. Nearby is the Stanley Plaza, full of cafes, gourmet shops, a piazza, and a playground, if you’re travelling with kids. At the end of the promenade you’ll see Blake Pier, which runs one ferry route but is otherwise frequented by day trippers and hopeful fishermen dropping a line. Next to it is the Victorian-era Murray House, dating to 1844, and once used as military barracks. Today it has a few restaurants on the first floor, which are a great place to have a meal with an ocean view. 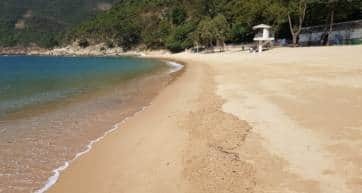 About a five-minute walk from the promenade area is Stanley Main Beach, easily reached by walking along Stanley Beach Road. This lovely sandy bay has facilities such as bathrooms, and a few beach bars too. Ever wondered what it’s like to get locked up? Then tour the nearby Hong Kong Correctional Services Museum, about a ten-minute walk from Stanley Market. With more than 600 artifacts accumulated over 170 years of Hong Kong’s penal system, you can get a close look at former cells, the gallows, a caning stand, and even tools used for drug making by inmates, ala Walter White.